Thursday, 3/23: 10:00 a.m. - 7:00 p.m.
Friday, 3/24: 9:00 a.m. – 2:00 p.m.
Join us as we celebrate women and fitness at the Atlanta Women's 5K on Saturday, March 25, 2017 in for a day designed for women. With the special mother-daughter and sister team award categories, finishers medals and flowers at the finish line and a women's-fit Mizuno performance shirt, the Atlanta Women's 5K is the perfect event for women and girls ages 8 & older. 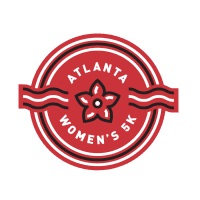 PLEASE NOTE: To ensure the safety of our participants and to align with Atlanta Track Club policy, there will no longer be a stroller division at the Atlanta Women's 5K. We apologize for any inconvenience or disappoint this causes. Atlanta Track Club looked at different ways to maintain a fun stroller division but ultimately determined we could not do so while also meeting our Club’s basic standards for safety. Please contact [email protected] with any questions or feedback regarding this change. Providing we have not reached race capacity, we will offer race day registration for this event. T-shirt sizing and availability canot be guaranteed for those registering on race day. For the safety and enjoyment of all participants, no pets, or wheeled conveyances such as baby joggers, strollers, roller/inline skates, and bicycles, are permitted on the course. Headphones are strongly discouraged. Sign up to receive FREE event images posted to your Facebook timeline, courtesy of Northside Hospital. It's easy! All you have to do is type in your race bib number and follow the instructions provided. The images will also be available after the event and connected to your results. Simply look up your results and, once all of the images are tagged, they will appear with your results. Don't see any images? Wait a few hours and check again! Looking for a way to further challenge yourself on race day? Consider signing up for our Team Competition. Team brackets are listed below. As part of a team you will still receive individual results, as well as your cumulative time for the team you sign up for. In registration you will have three options - register as an individual, join existing team, or create new team. To join/create a team you will be prompted to type in the team name. Teams that are not full on race day will not be included in the team competition results. 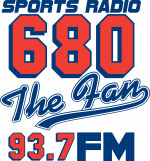 Additionally, any changes to teams must be made by Friday, March 24 at 2:00 p.m. Please email [email protected] with changes. Teams with the fastest cumulative times within their division will win. ? Ample FREE parking for early race number pick-up is available at the West Stride shopping center. For those of you unable to make it to early race number pick-up, your race number and shirt will be available on race morning. Parking on event day is FREE in the Red Lot. Directions to the Red Lot at Chastain Park Ampitheater can be found HERE. Additional street parking is available in the surrounding area, where permitted. Let us help you train for a 5K! Accomplish new goals this spring with our Spring 5K In-Training presented by Northside Hospital. The 12-week program includes nutritional tips provided by registered dietician and opportunity for multiple training sessions per week. Each session includes a group run and a running/walking specific clinic (clinic topics will vary). For more information on training, click here. If you have additional questions regarding the event, please email questions[email protected].